Established in April 1989, LIC Mutual Funds is an associate company of the one of India’s most well know brands, LIC. The foundation of the LIC Mutual Fund Asset Company is set on the discipline of high standards maintained in its financial ethics and systematic investment strategies. With a loyal list of clientele, LIC Mutual Funds is the preferred investment partner for many in the investor affiliation. It consists of lot of good funds with high CRISIL rating. LIC Mutual Fund Asset Management Limited is a sponsored entity of Life Insurance Corporation of India with its head office in Mumbai. A Trustee of the LIC Mutual Fund Trustee Private Limited, under the SEBI (Mutual Fund) Regulations, 1996 with the CIN: U65992MH2003PTC139955, LIC Mutual Fund was set up on April 20, 1989. Backed by one of India’s premier brands, LIC, the mutual fund division of the company is a well-known player in the area of asset management. The company has adopted investment plans that are innovation-driven and reach out to serve all segments of investment. Since 2011, the company has been offering mutual funds through a joint-venture with the Japanese entity, Nomura Group. Investing in LIC Funds is made very simple, regardless of whether you are a seasoned investor or a novice in this area. 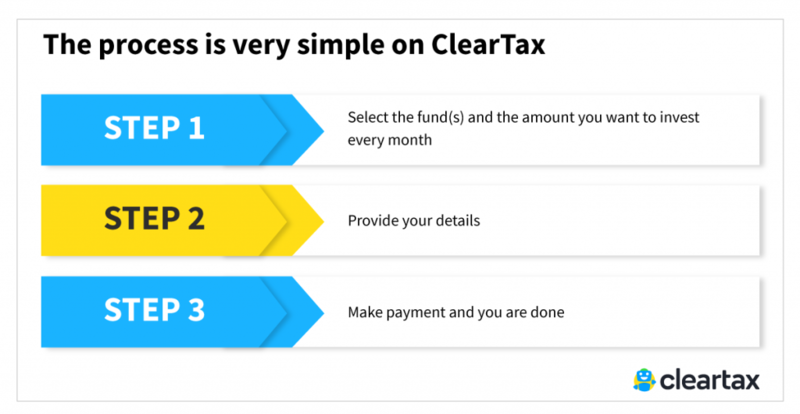 KYC is mandatory for all fund houses but if you are investing through ClearTax, one time KYC is all you need to do. 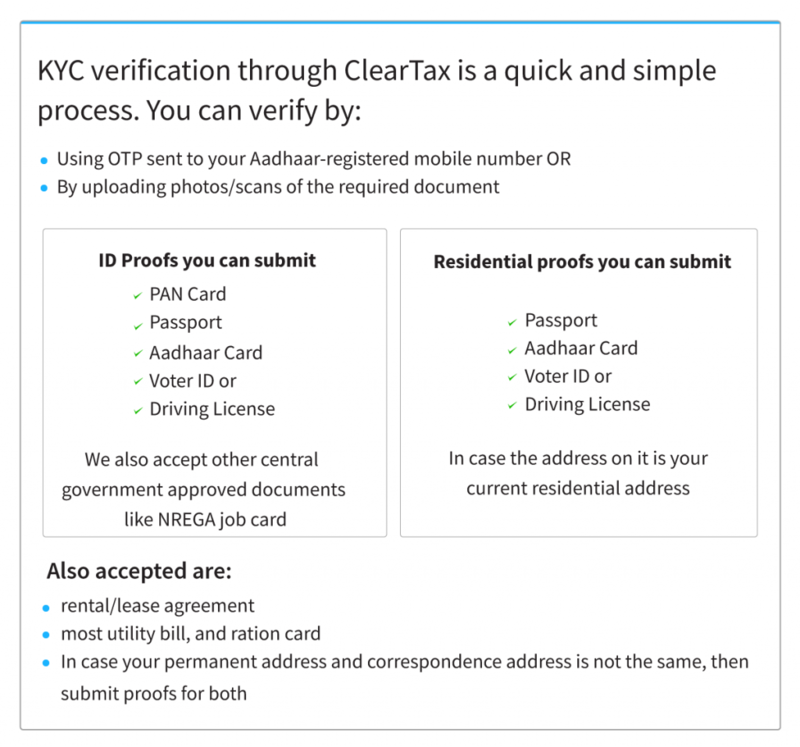 The same KYC will be used for all your future investments. These Debt Funds seek to generate an attractive return through investment in a portfolio comprising of quality debt securities and money market instruments. LIC MF Bond Fund Moderate 6.97 The objective of the scheme is to generate income or capital appreciation by investing in debt and money market instruments. LIC MF Banking & PSU Debt Fund Moderate 6.77 The objective of the scheme is to generate regular streams of income for the medium term appreciation of capital with the current income. LIC MF Government Securities Fund Moderate 7.56 The scheme aims to invest in sovereign securities that are issued by the Central State Government to achieve long-term capital appreciation and current income. LIC MF Savings Fund Moderate 7.63 The objective of the fund is to create short-term regular income by investing in low duration securities. LIC MF Liquid Fund Low 7.87 The prime objective of the scheme is to generate short-term regular income through investments in debt and money market instruments with maturities of up to 91 days. These funds invest in stocks and fixed income instruments to generate a regular stream of returns and capital appreciation. LIC MF Equity Hybrid Fund Moderately High 8.76 The objective of the fund is to achieve long-term capital appreciation with current income by investing in fixed income instruments and stocks. LIC MF Debt Hybrid Fund Moderate 6.78 The aim is to generate medium-term capital appreciation with current income by investing predominantly in debt instruments that have marginal equity exposure. LIC MF Unit Linked Insurance Moderately high 10.49 With long-term capital appreciation as the prime objective, the scheme invests in equity and related securities along with debt and money market securities. Having made its presence felt in the financial industry for over two decades, LIC Mutual Fund Asset Management Company with its extended association with financial experts and institutions has etched a name for itself. The management team at LIC Mutual Funds comprises of strong subject experts and market veterans. Mr. Singh is the Equity Fund Manager at LIC Mutual Funds having joined the company in 2004. With a solid base in finance, he holds extensive experience in the realm of asset management. LIC MF Banking & Financial Services Fund-Regular Plan High – (3yr return 0.41) With capital appreciation over long term Investing as its goal, this scheme invests predominantly in equity and securities of companies from the banking and financial services sector. LIC MF Multicap Fund Moderately High 11.14 The objective of this scheme is long-term capital appreciation and generation of current income by means of investing in stocks of Large, Mid & Small-cap companies. LIC MF Large Cap Fund Moderately High 12.82 This scheme invests in companies that are large-cap to achieve long-term capital growth. LIC MF Infrastructure Fund High 12.16 The aim of the fund is to generate long-term capital growth through investments in equity and its related instruments in the infrastructure sector. LIC MF Large & Mid Cap Fund-Regular Plan Moderately High – (3yr return 12.41) The objective of the scheme is to achieve long-term capital appreciation by investing in large and mid-cap stocks. LIC MF Tax Plan Moderately High 15.93 The fund seeks to achieve long-term capital growth through investments in equity and equity-related securities. LIC MF Children’s Gift Fund Moderately High 8.62 The scheme aims to generate long-term capital appreciation and current income by investing in both stocks and fixed income instruments. LIC MF Exchange Traded Fund – Nifty 100 Moderately High – (1 yr return 9.30) The scheme seeks long-term investment through investments in equity and equity related securities and portfolios that replicate the composition of the Nifty 100 Index, subject to tracking errors. LIC MF Exchange Traded Fund – Nifty 50 Moderately High – (1yr return 11.51) With long-term investment as its goal, the scheme invests in securities that are covered by the Nifty 50 Index, subject to tracking errors. LIC MF Exchange Traded Fund – Sensex Moderately High – (1yr return 15.47) The objective of the scheme is to achieve long-term investment through investments in securities that are covered by the S&P BSE Sensex, subject to tracking errors. LIC MF G-Sec Long Term Exchange Traded Fund Moderate – (3 yr return 5.40) The scheme aims to provide medium to long-term regular Income by investing in the Nifty 8-13 year G-sec Index securities. LIC MF Index-Nifty Plan Moderately High 12.62 The goal of the scheme is to achieve long-term capital growth through investments in equity of the respective index stocks, subject to tracking error. LIC MF Index-Sensex Plan Moderately High 12.09 With the aim to achieve long-term capital growth, the fund seeks to invest in equity instruments of S&P BSE Sensex index stock. This is subject to tracking error.